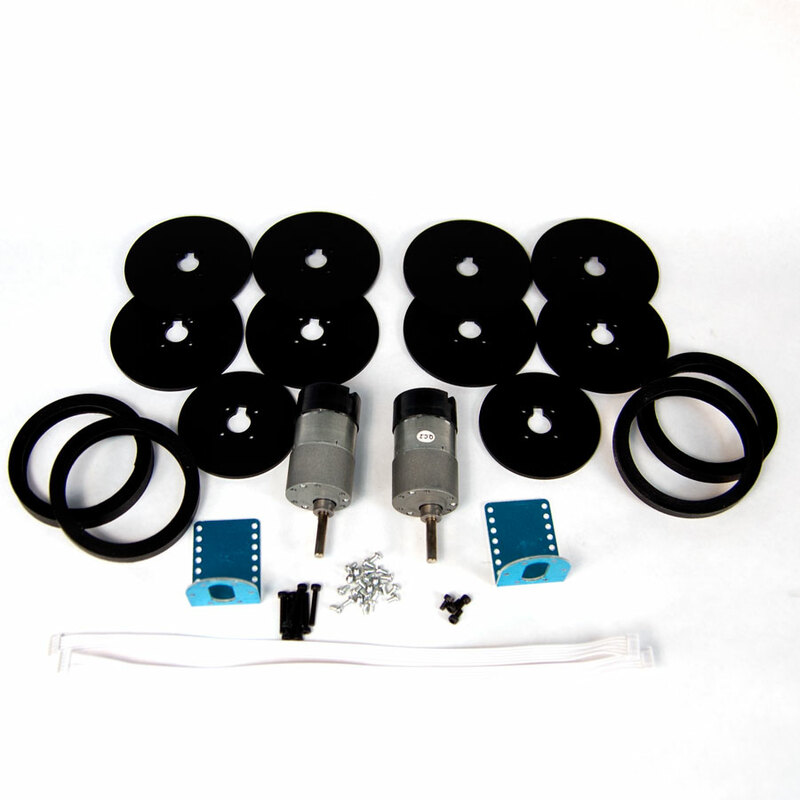 Get your rover rolling with our new custom Robot DC Gearhead Motor & Wheel Starter Kit. 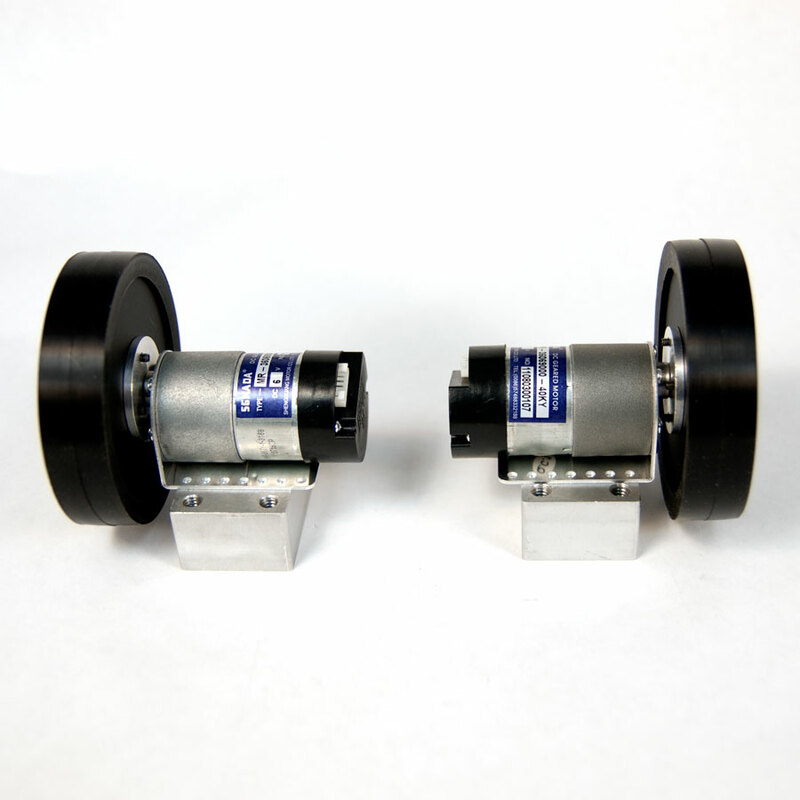 Each kit comes with 2 motors and wheel sets as well as a pair of brackets to mount your motors to your robot. 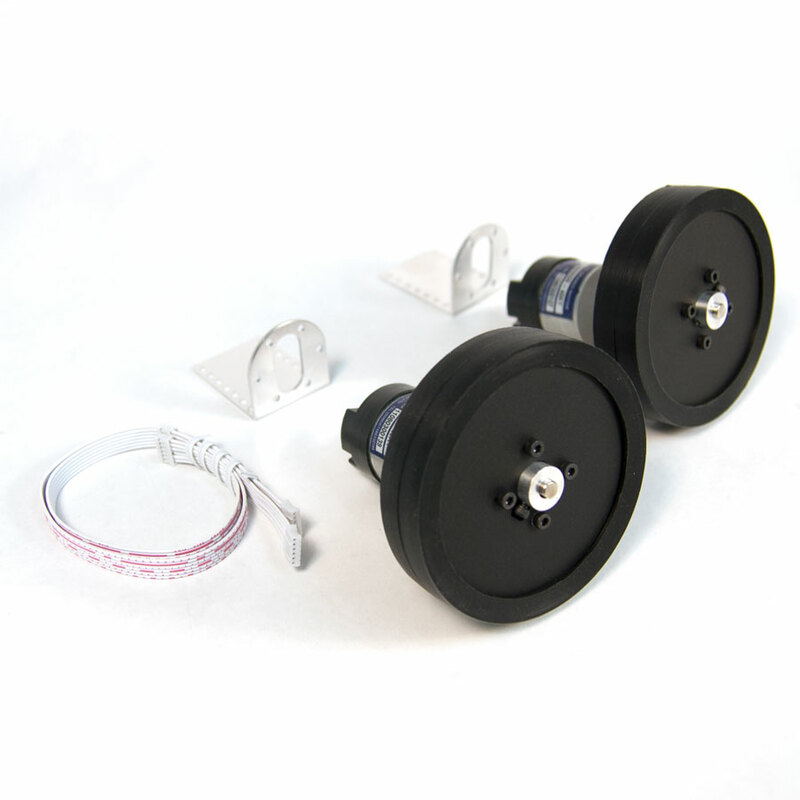 Each wheel is 90mm in diameter (including the rubber tire). 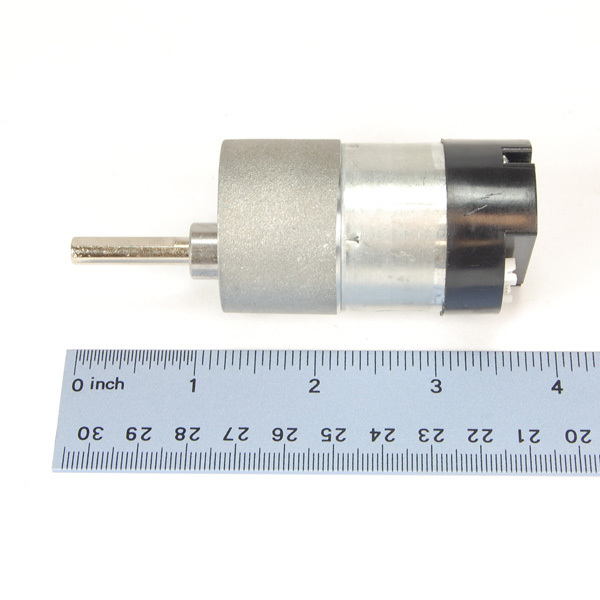 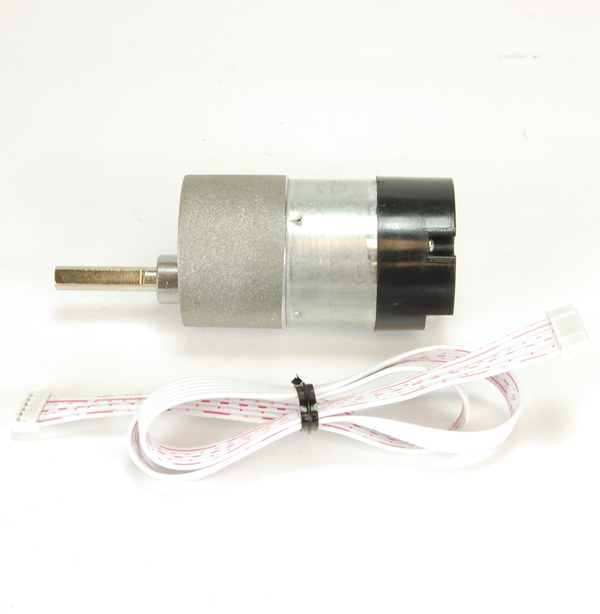 The motors in this kit use Hall Effect Quadrature sensors to achieve an encoder output of 520 ticks/revolution, allowing you to control the motors very precisely. 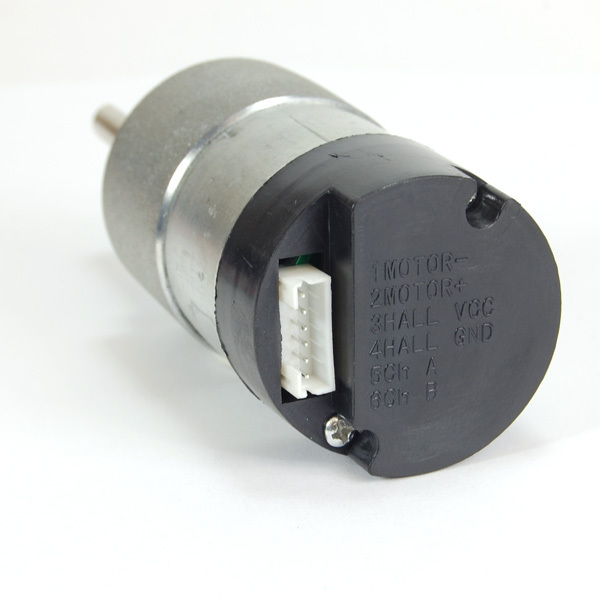 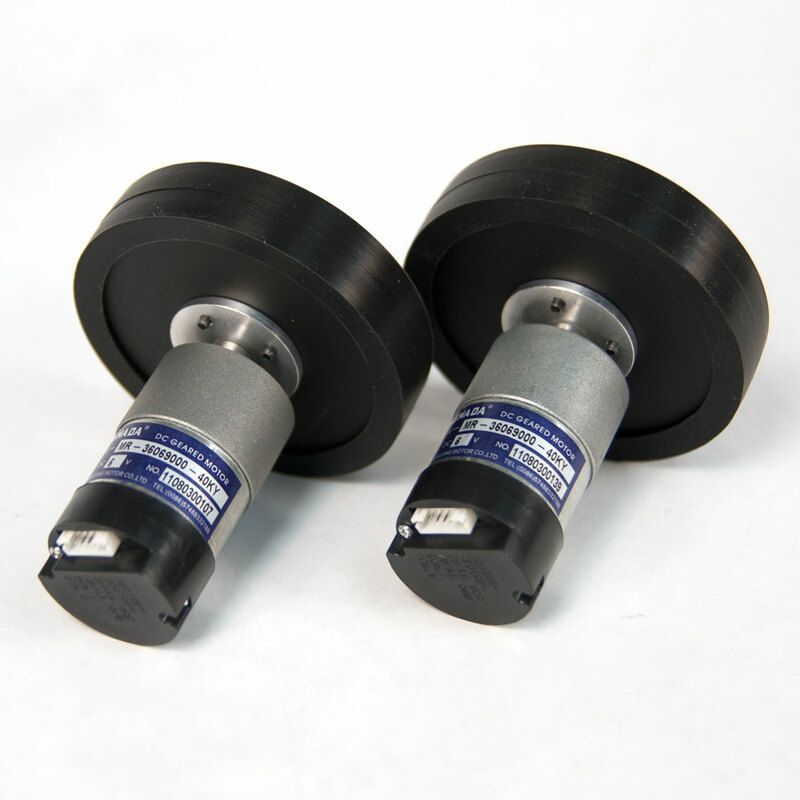 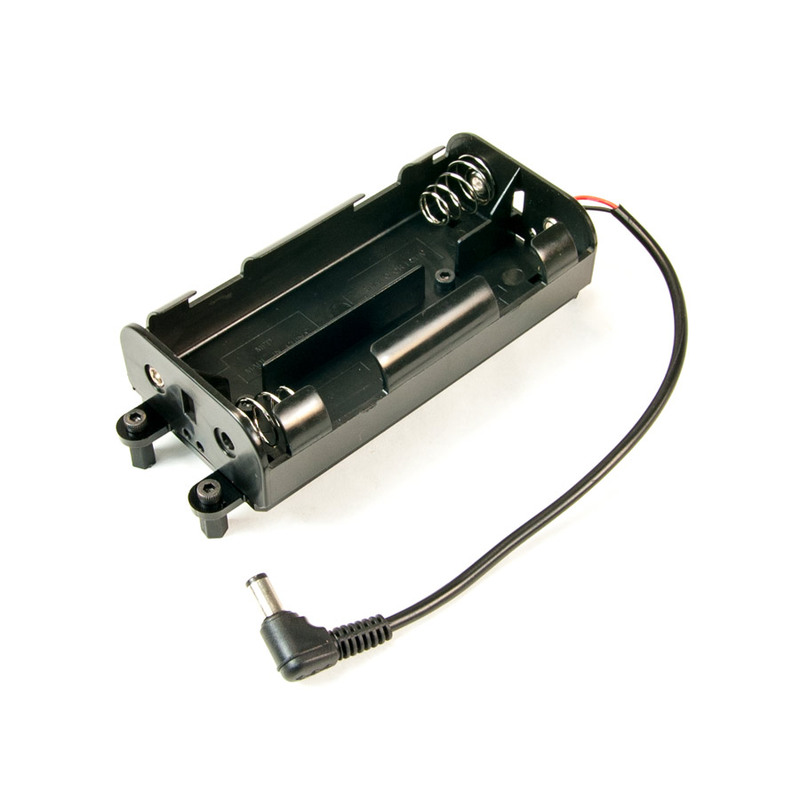 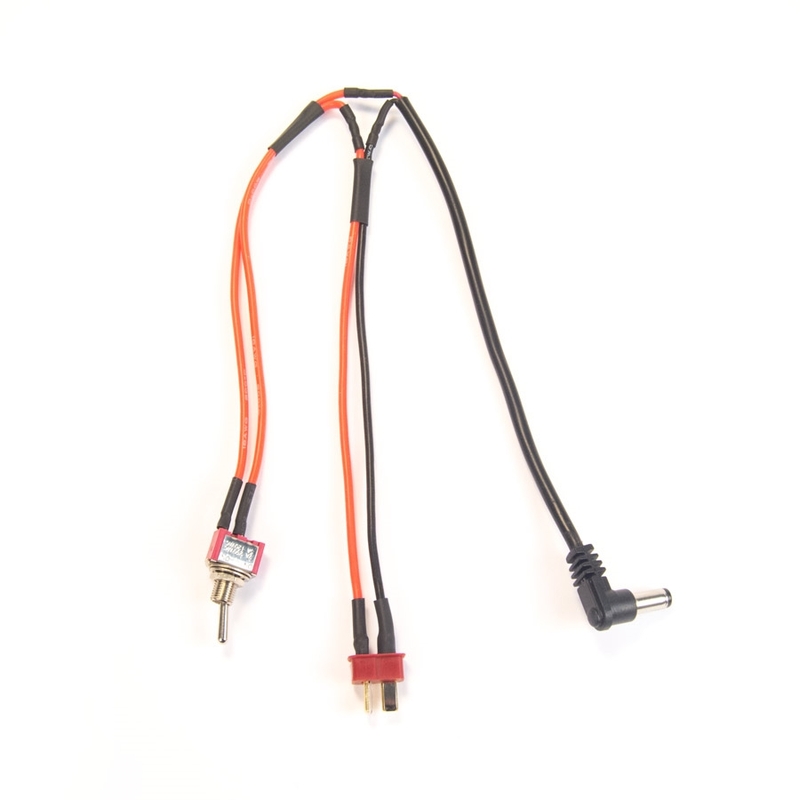 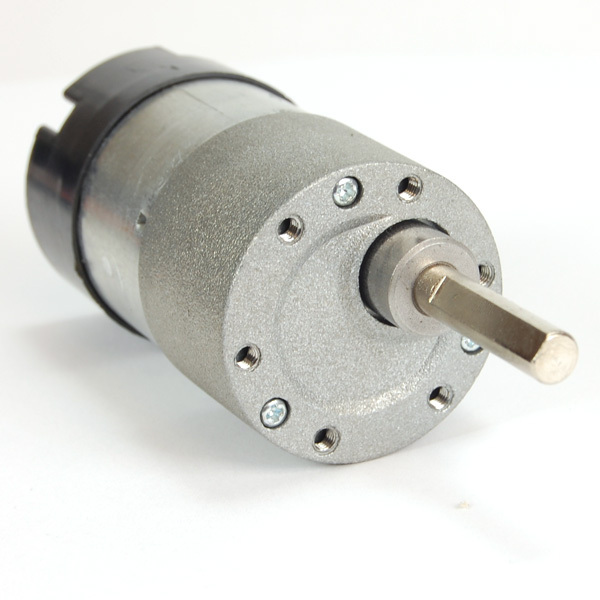 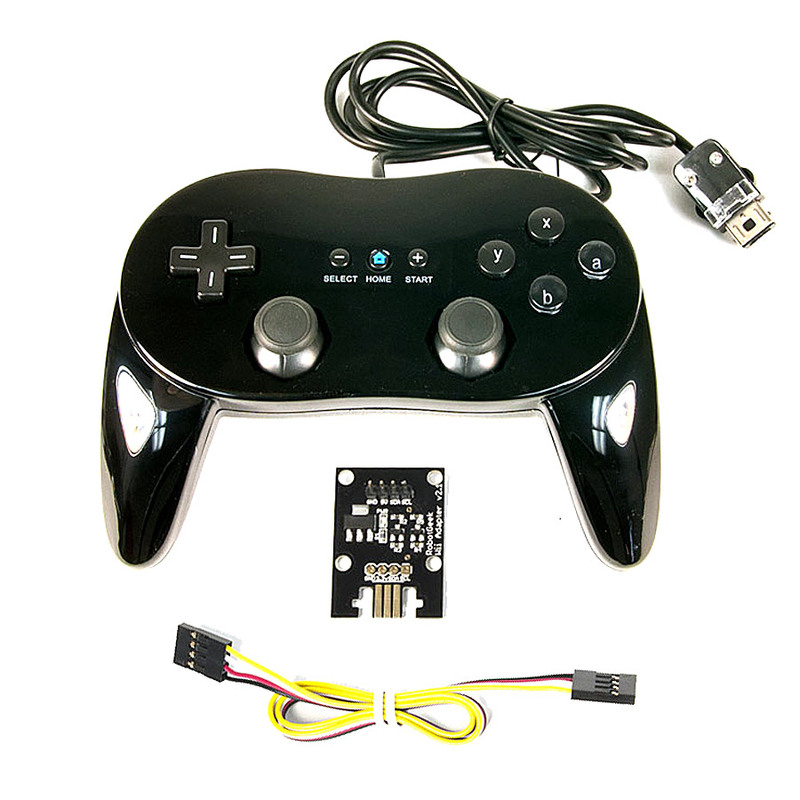 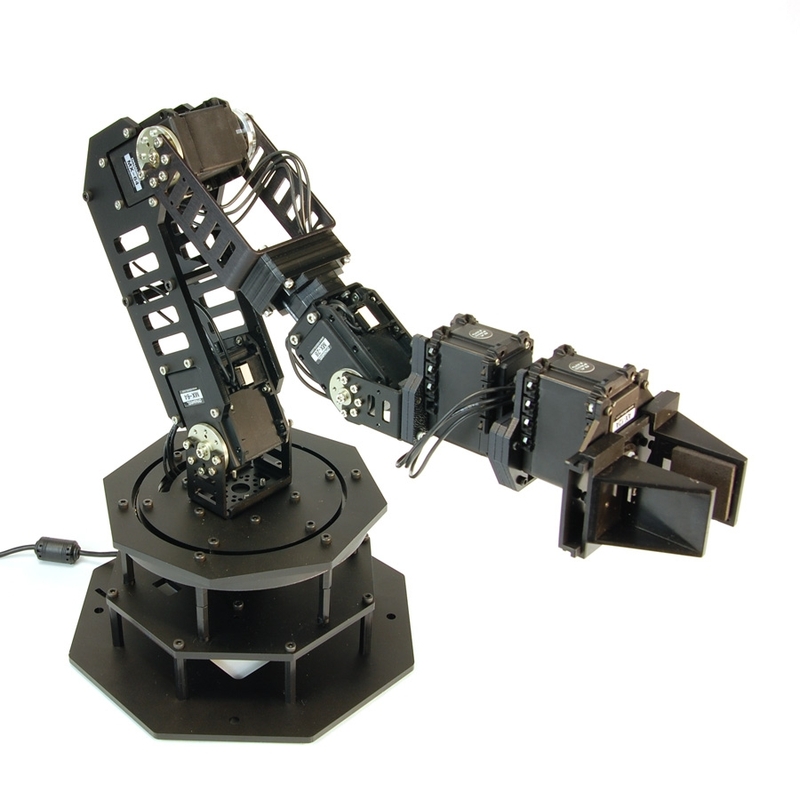 Each motor includes a 6-pin cable that breaks out motor inputs and the associated encoder I/O.